From the extraction of groundwater to the treatment of wastewate r, Johnson Wedge Wire Screens has a Wedge Wire Screen (Profile Wire Screen) that will fit the rol e. Our water well screens are made from robust designs that can cater for varying depths and gravel formation types . Given our flexible working culture and stock material , we can provide fast turnarounds of water well screens . Simply fill in the water well screen datasheet and we will get back to you promptly with our offer . Johnson Wedge Wire Screens also offers primary screening equipment in rivers , lakes , ponds and other water bodies . 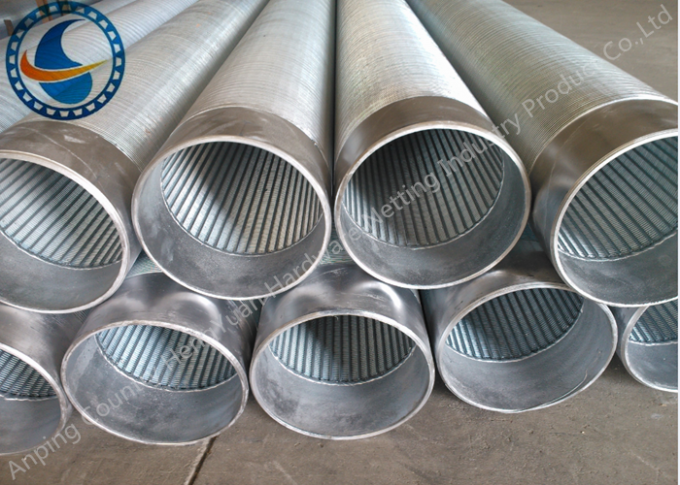 For instance , Wedge Wire Screens have been commonly used to provide coarse-filtered water to food processing , desalination , petrochemical and refining plants . One of our primary screens includes the Passive Intake Screen , which employs a controlled slot opening velocity that will not be harmful to the surrounding flora and fauna . It also has the added value of being more economical than other mechanical-type screens that contain moving parts and significant civil works . Wedge wire screens can be manufactured into diverse slot widths and configurations depend on applications . Slot widths come in diverse sizes from 0.02mm (20 microns) to 10mm . 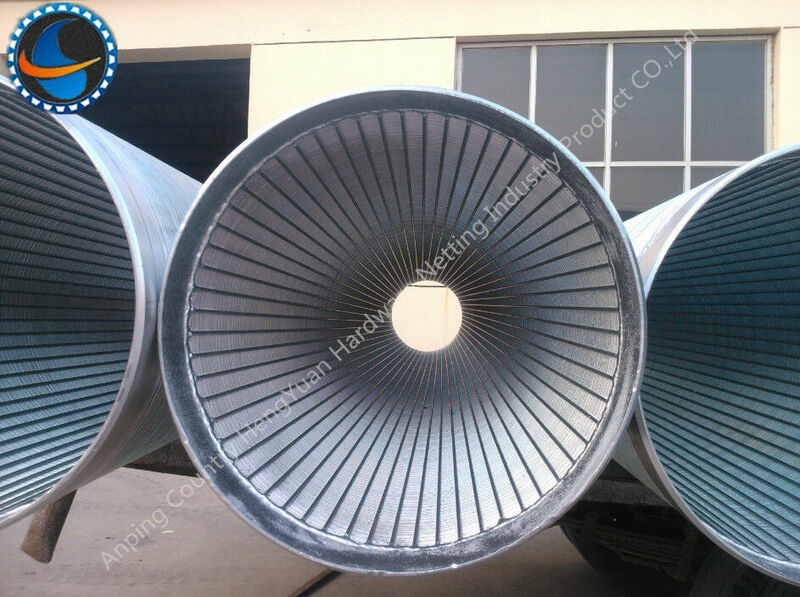 Custom wedge wire screens can be manufactured . 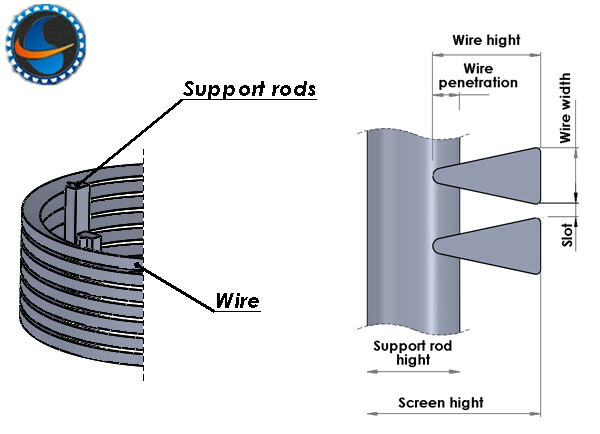 Length , width , spacing of profile wire can be engineered to meet required service conditions . 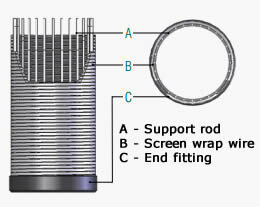 Rods spaced evenly around the circumference support the screen and prevent the screen from deformation . V-shaped wire produces self-cleaning action and non-clogging performance . The slot width on surface is increasing towards the internal side of the screen . This slot geometry is called keystone slot which has the ability of anti-plugging. Precise slot width should be designed to satisfy operation requirements. Usually , the slot width is two times the size of the formation sand . Our mainly products are :stainless steel vee sharped wire /wrap wire,johnson screeen , water well screen/rod based wire wrapped screen,wedge wire screen pipe,reverse wedge wire screen , screen nozzle /water and gas strainer , sieve plate , slot mesh , ARC screen , header and hub laterals & hub radial laterals , pipe base , crimped wire mesh / stainless steel wire mesh / perforated wire mesh etc . Diameter: 4-1/2", 6-5/8", 8-5/8", 10-3/4", 12-3/4"